A study from the University of Southern Queensland, School of Nursing and Midwifery, has found that there is a strong positive relationship between the use of the course’s prescribed resource, Understanding Research Methods: For Evidence-Based Practice In Health, 1st Edition (Greenhalgh et al.) delivered as a WileyPLUS Learning Space online textbook, and student results and engagement in the Evidence-Based Practice course. The WileyPLUS Learning Space online textbook is designed to help overcome teaching and learning challenges such as organizing and accessing resources, building engagement, monitoring progress, and fostering critical thinking skills while building knowledge and proficiency. Improved their overall course outcomes, with 100% of these students receiving a passing grade or higher. Achieved higher marks in the course compared to those who did not access WileyPLUS Learning Space. Significantly increased their overall grade percentage if they completed the questions in WPLS. On average, these students earned a final course grade one boundary difference higher compared to students who did not complete questions. The more that students completed the self-directed questions in WileyPLUS Learning Space, the higher was their overall course grade. 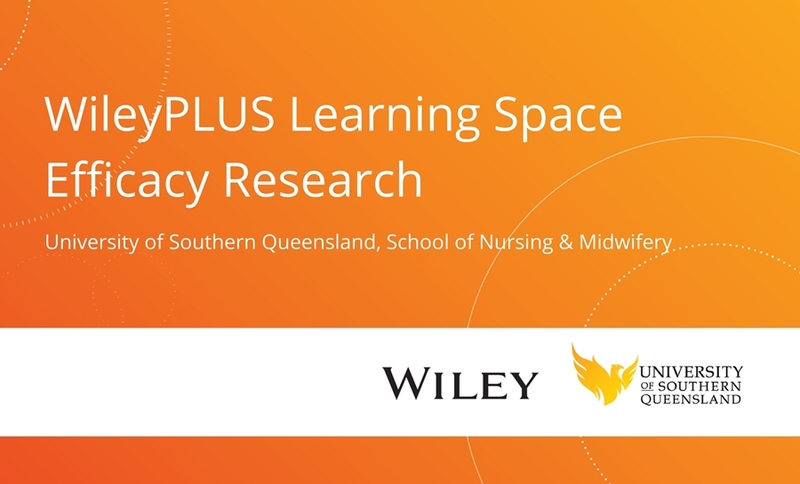 This study captures the results of 405 nursing students enrolled in the course in Semester 1, 2017, from the University of Southern Queensland, of which 207 (51.7%) purchased and accessed the resource. It’s evident that having the prescribed resource makes a huge impact on student success and learning outcomes – imagine if every student had access. With WileyPLUS Learning Space, students have access to a complete online version of the prescribed textbook – delivered in concise digestible chunks with rich media, videos, animations, and interactivities embedded at the point of learning. Instructors gain real-time insight into students’ participation, engagement and proficiency throughout semester – with actionable reports for fast intervention. 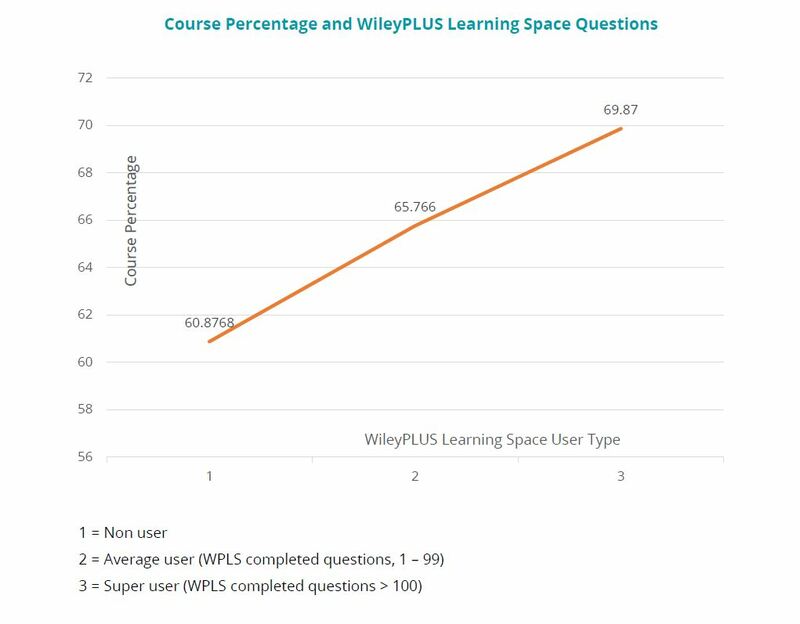 When all students in the course have access to the prescribed resource, WileyPLUS Learning Space provides sophisticated insights, a collaborative course stream, assignment functionality, and more. Said by students to be ‘the best online textbook ever’, this digital resource brings the subject matter to life and provides university students with a rich, personalised, and engaging active learning experience. The research is conducted by Dr Lisa Beccaria (School of Nursing & Midwifery) and Associate Professor Gavin Beccaria (School of Psychology & Counselling) at the University of Southern Queensland.